(l-r) Christopher Rivera, Brooklynn Prince, and Valeria Cotto in THE FLORIDA PROJECT, also starring Willem Dafoe. ©A24 Films. Willem Dafoe and Brooklynn Prince star in THE FLORIDA PROJECT. ©A24 Films. 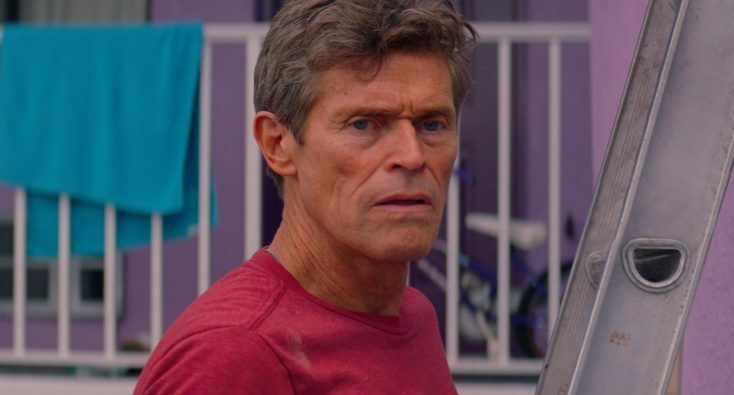 Willem Dafoe stars in THE FLORIDA PROJECT. ©A24 Films.